I should sell my business and go work for these guys. They specialize in old school Range Rovers and take very nice Peugeots in trade. I'd like going to work everyday at a place like that. Is middle age too old to apply for a job as a lot boy? Last week I featured and incredibly nice Peugeot 505 Turbo being offered by Rover Classic. 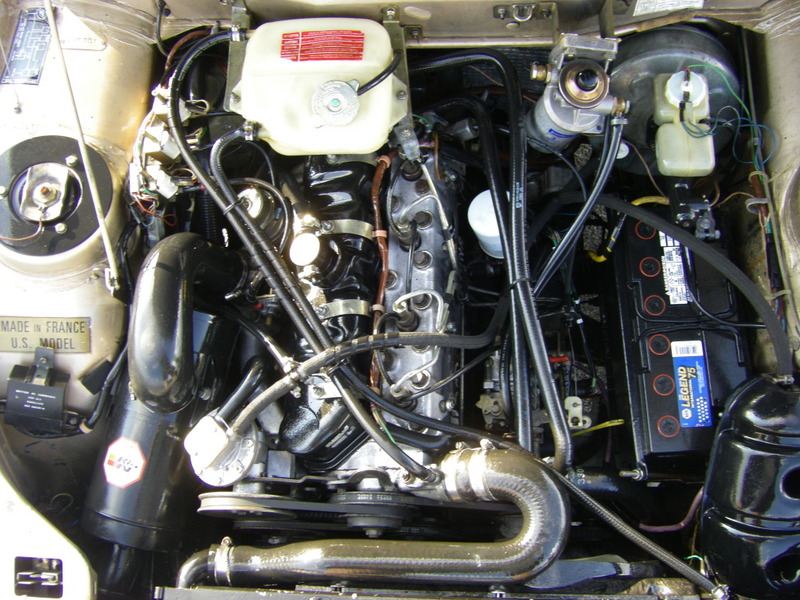 This week a 504 Diesel showed up on their site. 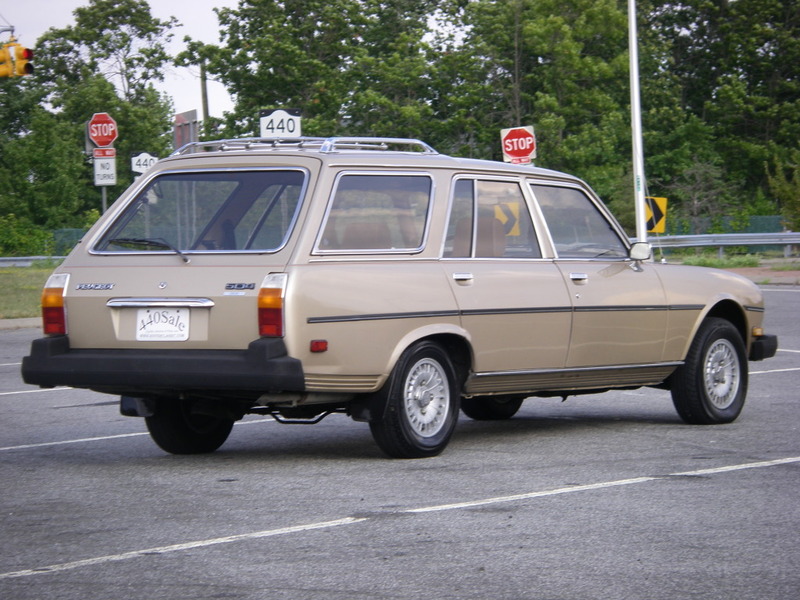 Peugeot introduced the 505 to the US in 1980. It was the replacement for the 504. 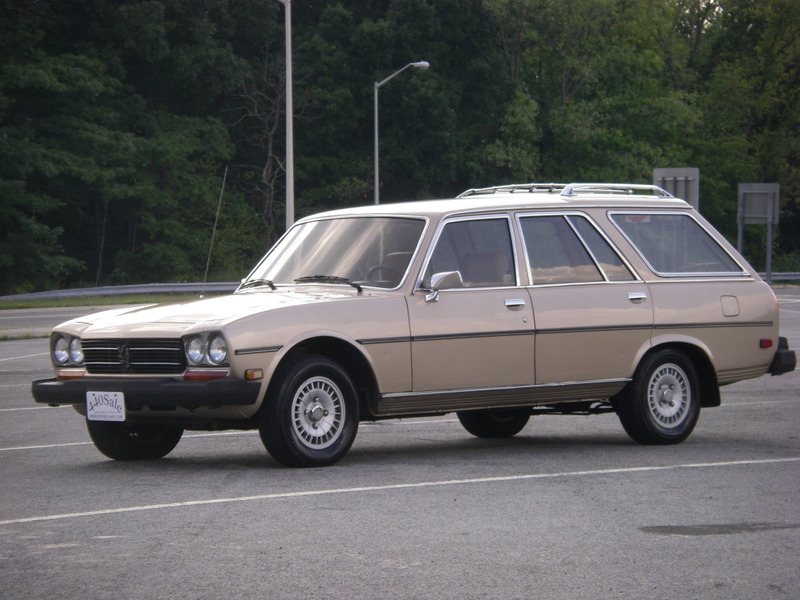 But, initially there was no 505 station wagon, so Peugeot kept selling the 504 wagon through the end of 1983. Not offering a gasoline engine was a mistake on Peugeot's part, because except for the 71 horsepower diesel engine, the 504 is everything you'd want in a station wagon. 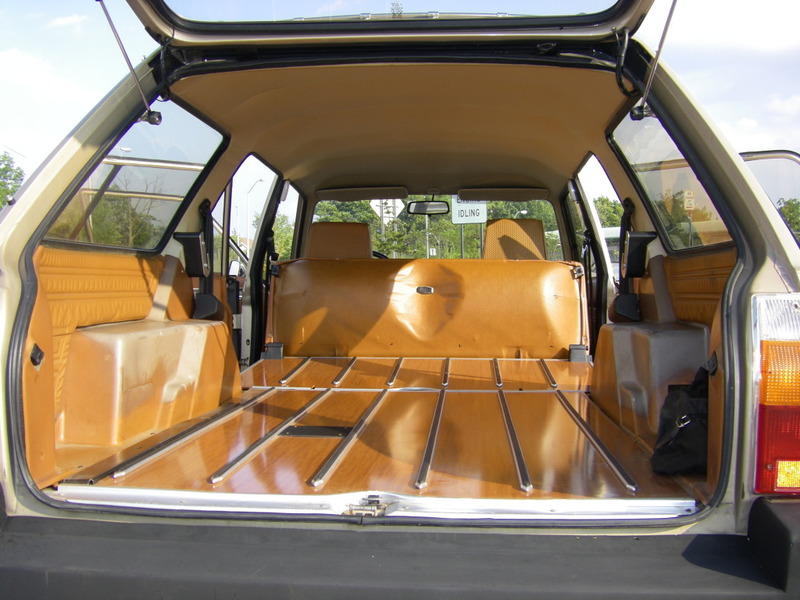 It's roomy, extremely comfortable and has the incredible ride / handling characteristics that the French do so well. A gasoline engine would have made it close to perfect. This is a very impressive 504. It has 232,000 miles on it, but the engine was rebuilt around 60K ago. Rover Classics says the transmission and suspension are good and it has no electrical problems. The transmission is a 4 speed manual. What's really impressive about this car is the condition of the body and interior. 504s rusted just like any other car from the 1970s / 1980s did. This car has what looks like a perfect body. 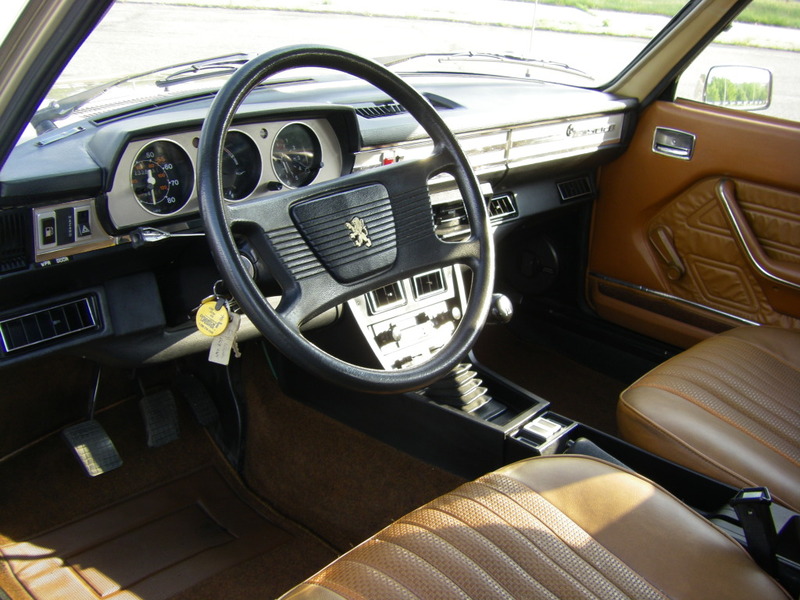 This 504's interior looks like it's from a car with far less than almost a quarter of a million miles on it. I'm not a huge diesel fan, but I realize that many people are. If you're one of them, and you're looking for something other than your run of the mill classic diesel, this car may be perfect for you. Located in Staten Island, NY, click here to see the dealer's ad (which has a ton of pictures). change titel from "540 wagon" to "504 wagon"
Sure come work for us. We have another strange car coming up in the beginning of the week. These are even becoming scarce here on the southern tip of Africa. Would love to get hold of one - especially a diesel, since these old-tech diesels still manage well on the dirty fuel we get here - unlike modern high-tech diesel engines. PS: Huge battery in this car!